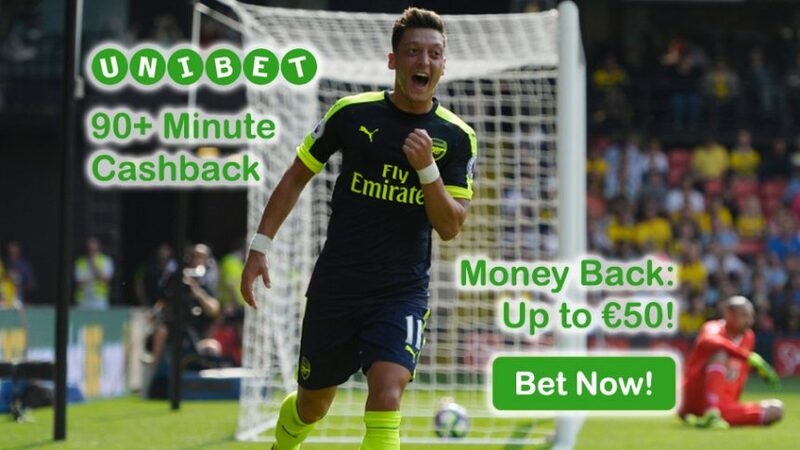 You’re guaranteed to get your money back with Unibet’s Football Cashback Offer should a ball find itself at the back of the net after the 90th minute. Wager on Europe’s biggest matches all throughout the 2016/17 campaign with simple €5 bets, and if a goal is scored after the 90th minute you’ll receive a refund up to €50 with the Football Cashback Offer. 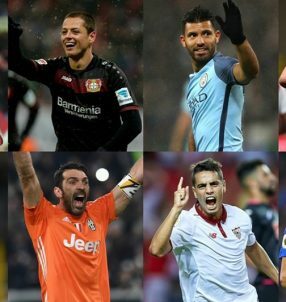 You can claim the Money Back offer on the three biggest competitions on the continent: Champions League, Premier League and La Liga. Place a bet on the Correct Score, Halftime/Fulltime, First Goalscorer, Last Goalscorer, and in case a player strikes a goal after 90 minutes on the clock, you’ll be able to recoup your investment thanks to the Football Cashback Offer. Protect your bets with the Football Cashback Offer on these games, but also don’t forget to place wagers on this weekend’s matches in the Premier League and La Liga. Barcelona are the favourites to win the Champions League this season 4.25 (13/4), while Bayern Munich are right behind them with odds of 4.50 (7/2). Real Madrid are third on the list 6.80 (23/4), despite being the defending champions – it might be wise to place a wager on them nonetheless. Pep Guardiola’s Man City have emerged as one of Europe’s most promising sides after defeating Barcelona 3-1 at the Etihad on Tuesday – their odds for lifting Europe’s most coveted trophy are that of an outsider 12.00 (11/1), but still manageable. If the Catalan giants clinch the Champions League this season, it would be their second in three years and fifth in the span of twelve seasons. Considering the way they have played this season – both domestically and in Europe – Barcelona have to make some changes before they establish themselves as true contenders for the elephant ear-shaped cup, despite being the favourite side. Insure your bets on the biggest games with the Football Cashback Offer all throughout the ongoing season, in case something goes wrong and a ball gets past the goalkeeper after the 90th minute. Get a €50 refund with the Football Cashback Offer!